These cute pet rabbits need your help and care! Come give them adorable dress ups right here! It is your chance to test out your fashion skills on cute fluffy animals! Ever wanted a cute bunny rabbit in your home? Or do you already have one but its just too hard to give it a makeover? 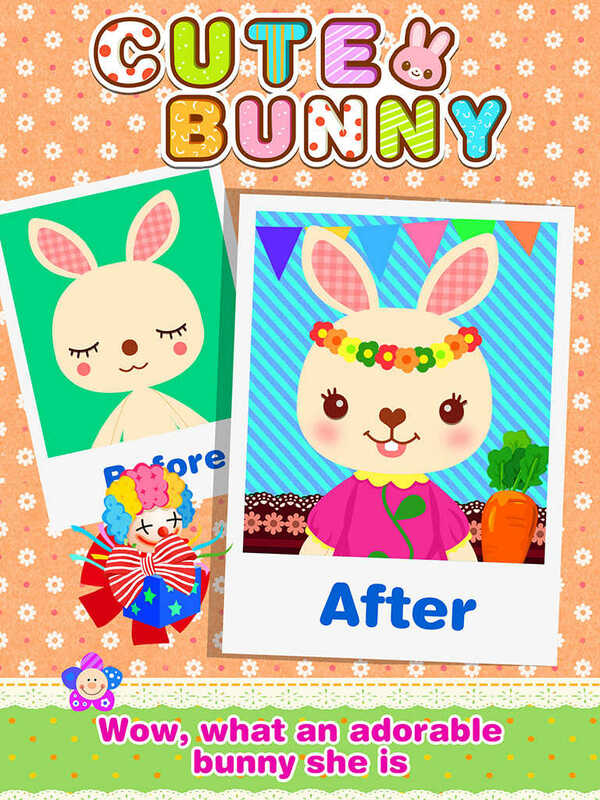 Now it's your chance to give your rabbit a luxury pet salon and makeover with this fun new app! It's not easy dressing up animals! But this is your chance to try it out! Come practice in this awesome and fun app full of adorable fluffiness! Start designing this pet makeover from the comfort of your own home! It is just that easy to have great fun! Once you are done, you can view your hard work with a before and after shot! Then show it off to your friends and family! Come play it now! It's free~ DOWNLOAD IT HERE! - Huge range of clothing to mix and match with!!! - Tons of cute and pretty accessories to choose from! - You can match combinations with tops, skirts, shoes, bows and hair pieces! - Then give them a cute toy to match! 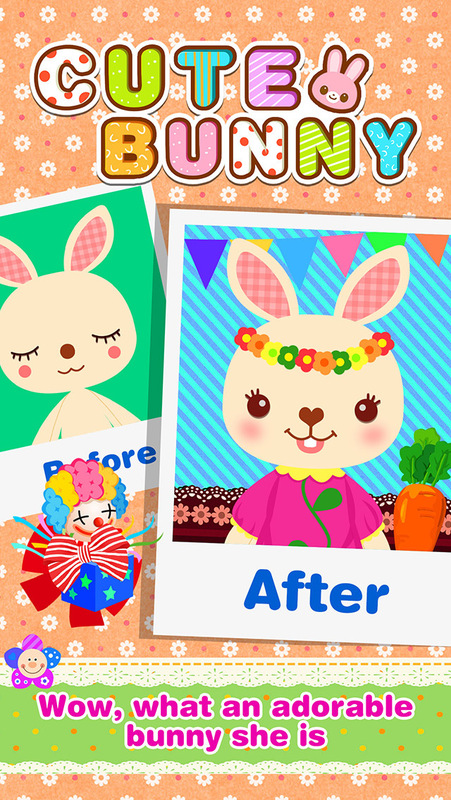 - Decorate and choose a scene in the home for your little bunny baby to take a beautiful photograph in! 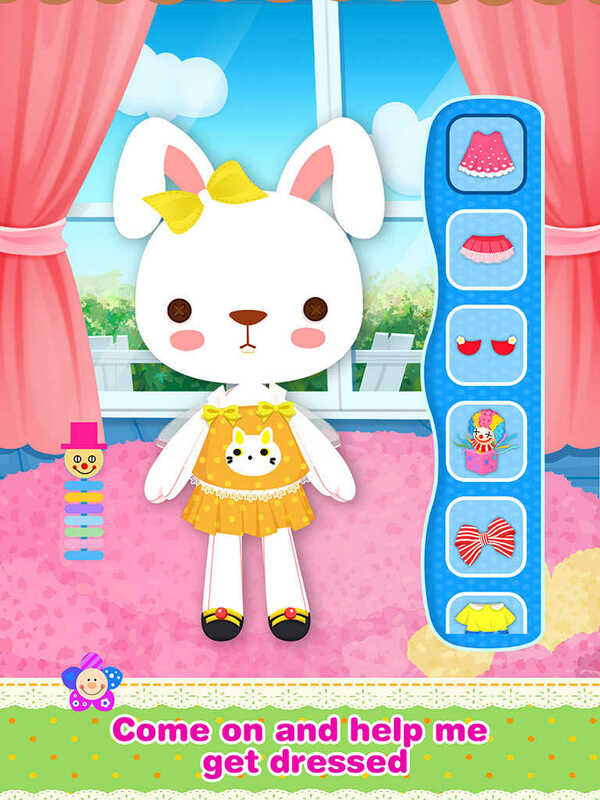 - Make your friends jealous of fashionable and cute bunny rabbit!!! - Swipe to scroll through the large variety! - Take care of your little rabbit friends and keep them healthy and happy! - Take shots and share to family and friends! Beauty School! - princess games! Fairy Girls Salon - Beauty Spa! Hair Salon™ - Crazy Haircuts! Princess Play House : beauty games! Rock Star Salon™ - Girls Dress Up!